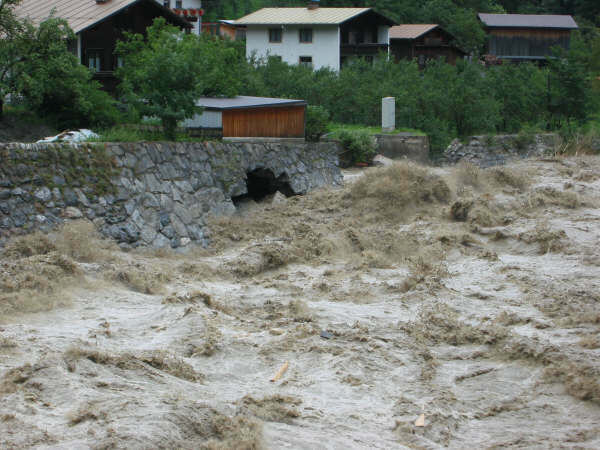 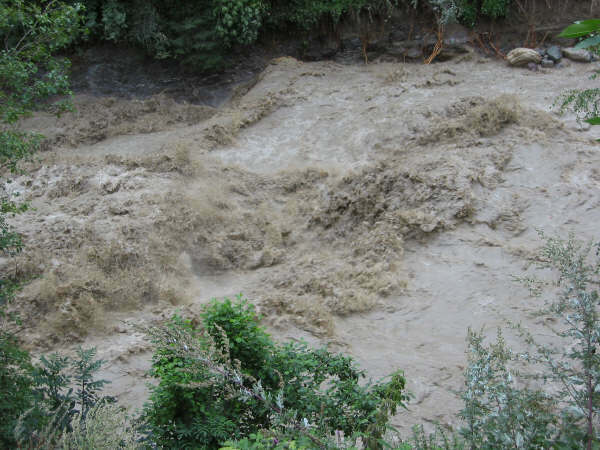 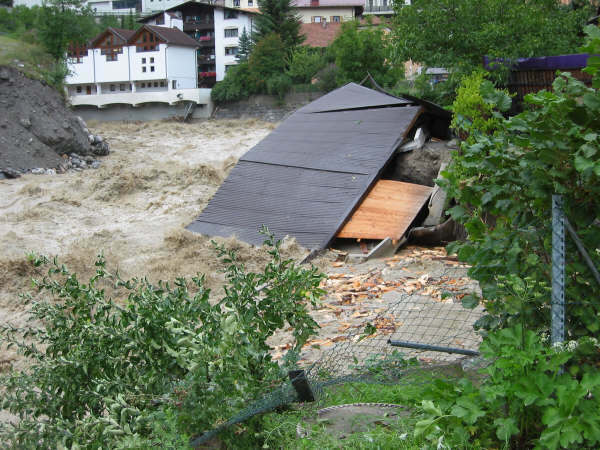 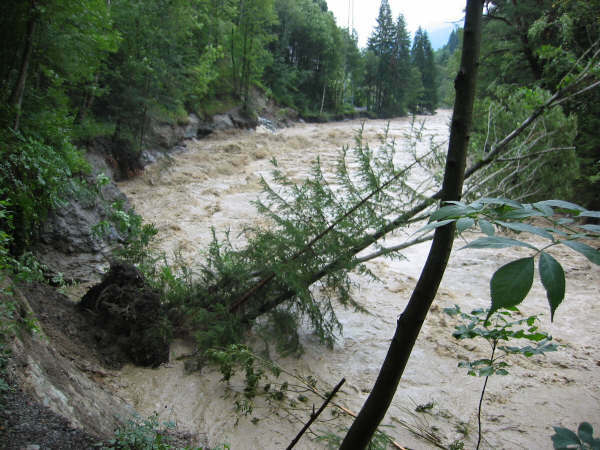 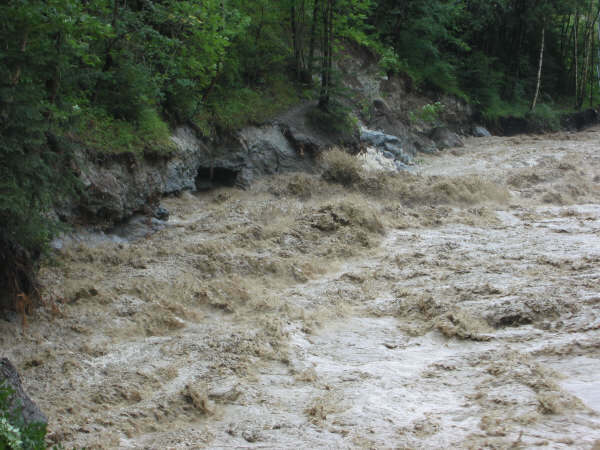 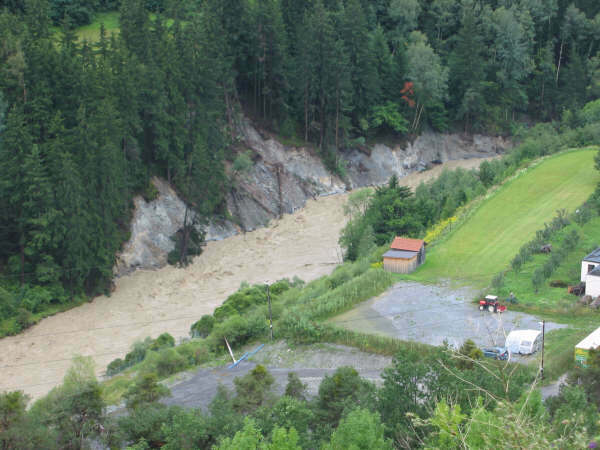 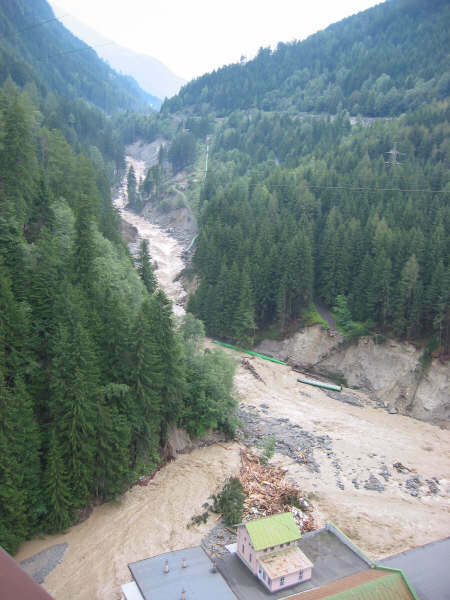 In Autumn 2005 the Landeck region was hit by sudden and severe flooding following a period of sustained bad weather. 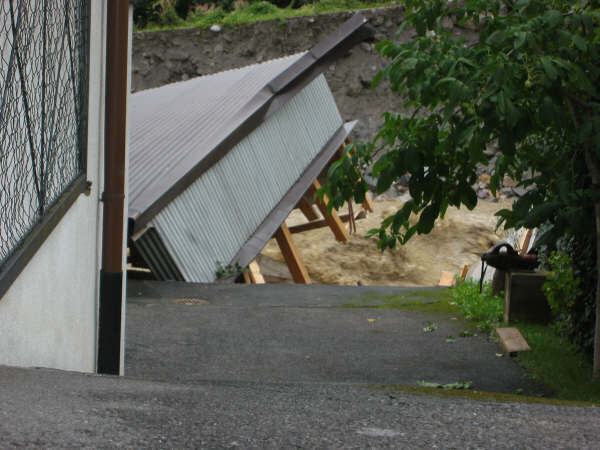 As the pictures below show, the damage was substantial. 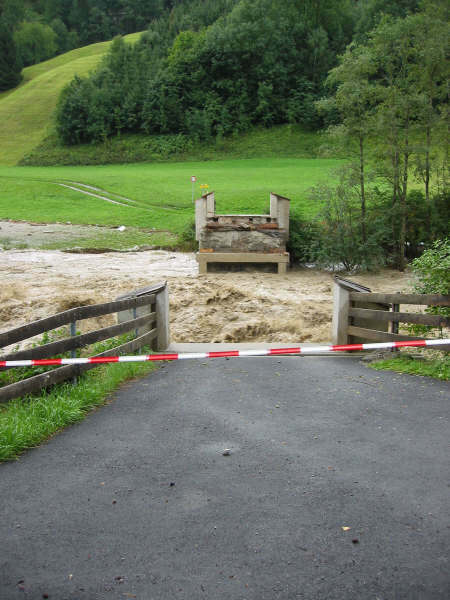 The flooding affected the Trisanna and Rosanna, and consequently the Sanna. 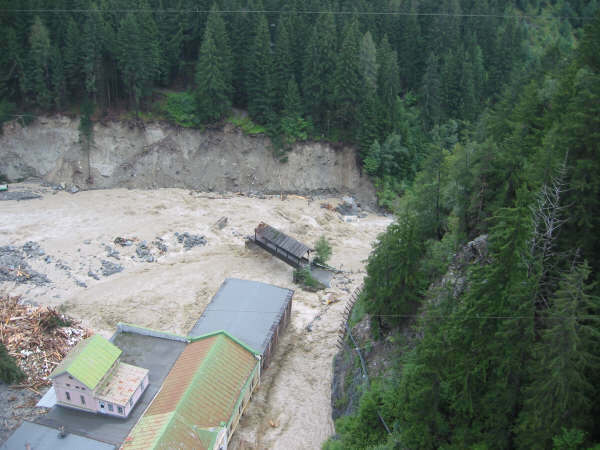 Looking down from the railway bridge at the power station just above the put in for the Sanna. 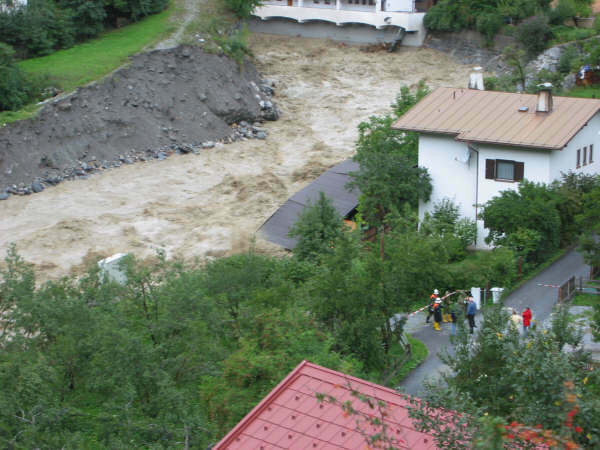 The road is in the center of the picture, between the building and the trees on the right.